We are increasingly aware of nutritional advice touting the merits of a whole food diet, especially its impact on the major diseases particularly cardiovascular health, diabetes, and cancer prevention. Consuming grains in their natural and unprocessed form maintains their vitamin, mineral and fiber content, thus maximizing their benefit. But for some people, eating a diet including these grains may cause severe illness, resulting from the misunderstood and unrecognized constituent gluten. In fact, gluten-related illness has been estimated to affect 1 in 200 people in most parts of the world, making it a notable cause of disease especially relating to the gastrointestinal system. Additionally, it may be a substantial hidden contributor to numerous conditions including osteoporosis, anxiety and depression, heart disease, arthritis, neurological disease, and other common illnesses. Gluten is a category of proteins derived from the starchy aspect of certain grains such as wheat. There are two groups, the glutelins and the prolamines. Some common prolamines include gliadin (wheat), secalinin (rye), avenin (oats), hordein (barley), panicin (millet), zien (corn), and orzenin (rice). Glutenins include glutenin from wheat and orycenin from rice. 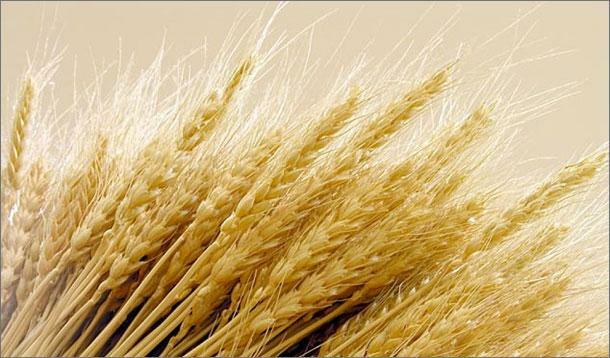 The major contributor to gluten-based disease is the prolamine gliadin found in wheat. Additional grains that contribute to gluten immunological reactions include rye, barley and the other grains outlined in table 1. Those grains which do not cause illness in gluten-sensitive individuals include corn, rice and buckwheat (table 2). * Oats contains gluten, however, many people with celiac disease are not susceptible to the protein found in oats. Caution is urged because oats may be contaminated by other grains such as wheat during processing. Many people with gluten-related disease are able to tolerate oats without adverse effects. However, there are people that do react to oats; therefore it must not be assumed that oats are completely acceptable and safe. In general, oats are recommended for re-introduction after a gluten-free diet has been maintained for 2-3 months. An alternative to oats are rice based cereals, due to the fact that orzenin in rice does not cause immunological reactions. How does gluten cause problems? Most of the adverse effects from gluten are due to the prolamine, gliadin. There are several ways that gluten-intolerance is induced in susceptible individuals, mainly acting through an immunological process by a genetic pre-disposition. 1. Inability to break-down gluten due to the lack of the digestive enzyme intestinal glutaminase. 2. The production of antibodies against the prolamine and its fragments. 3. Increased bowel permeability to small molecules including gluten proteins and their fragments. 4. Increased inflammation due to the accumulation of mediators such as histamine, prostaglandins, interleukins and other inflammatory triggers. The end result is an immunological and inflammatory process that disrupts the small intestine surface, reducing digestion, decreasing absorption of key vitamins and nutrients, and contributing to inflammation throughout the body. This process extends to the cardiovascular, musculoskeletal and neurological systems. What symptoms does gluten-intolerance cause? There are several key illnesses that result from the immune reaction to gliadin, notably celiac disease and dermatitis herpetiformis. However, there is a range of other conditions that are impacted by a reaction to gluten causing symptoms varying from gastrointestinal upset, diarrhea, bloating to twitches, cramps, fatigue, and skin reactions. In general symptoms may occur in multiple systems and may present in a multitude of ways. Additionally, gluten-intolerance may contribute to arthritic or fibrositic conditions, osteoporosis, brain disturbances, headaches, irritable bowel syndrome, anemia, and chronic fatigue. How do I know if gluten is a problem for me? For some people, the symptoms associated with a gluten reaction are more obvious, especially digestive disturbances such as diarrhea, bloating, and abdominal pain. Other symptoms are not as clear and may affect your whole body such as fatigue, anemia, aches, tingling sensations, nervousness, weakness, as well as others. If you suspect you have a gluten sensitivity then a gluten-free diet may be an easy way to test your response to gluten. The recommendation for those people who are susceptible to gluten-induced disease is to follow a strict gluten-free diet including the removal of oats. Oats may contribute to the persistence of the intestinal mucosa damage; therefore it is necessary to exclude oats for a period of time to allow the intestines to heal. Following a gluten-free diet may be a challenge because numerous foods may have gluten added as a filler or have trace amounts of gluten present resulting from the manufacture and processing of food products. In general, read the labels carefully to determine if gluten or gluten-containing grains have been added to the product. Be especially careful of products that have been manufactured in a facility that uses grains or gluten in their products. The best option is to look for products that clearly state ‘gluten-free’ because it recognizes the needs of those people who may have gluten-reactions. Table 3 outlines products that may contain hidden sources of gluten, which may or may not be identified on the label. It is important to eliminate all sources of gluten because even trace amounts of gluten may trigger a reaction. Additionally, it is important to check labels before you use a familiar product because product contents may change over time, so it should not be assumed that previously safe products will remain gluten-free. What if I eliminate gluten and still I feel ill? Gluten-induced illness often triggers malabsorption of key nutrients such as vitamins and minerals. The decreased absorption of nutrients may itself contribute to ill health. Therefore, it may be necessary to take nutritional supplements, such as calcium, iron and especially B-vitamins, to help improve your health and eliminate deficiencies. Additionally, components within certain foods may be difficult to digest for some people. Also, food-allergies and sensitivities are frequently a problem for people with digestive or systemic illness. It is important to identify those foods that may be contributing to your ill health and remove these offending substances. A professional who offers nutritional counseling and can assist you in identifying problem foods and manage a healthy and balanced diet may be necessary to help you restore your health or prevent future episodes. Gislason, Stephen J. M.D. Nutrition Therapy. Accessed from http://www.nutramed.com/ on January 19, 2007. Ciclitira PJ, King AL, Fraser JS. AGA technical review on celiac sprue. American Gastroenterological Association. Gastroenterology. 2001;120:1526-1540. Helms, Steve N.D. Celiac Disease and Gluten-Associated Diseases. Alternative Medicine Review 2005 Volume10:3, 172-192.